Randolph and Baldwin’s commitment to quality extends from the idea’s conception through shipping of the finished product. 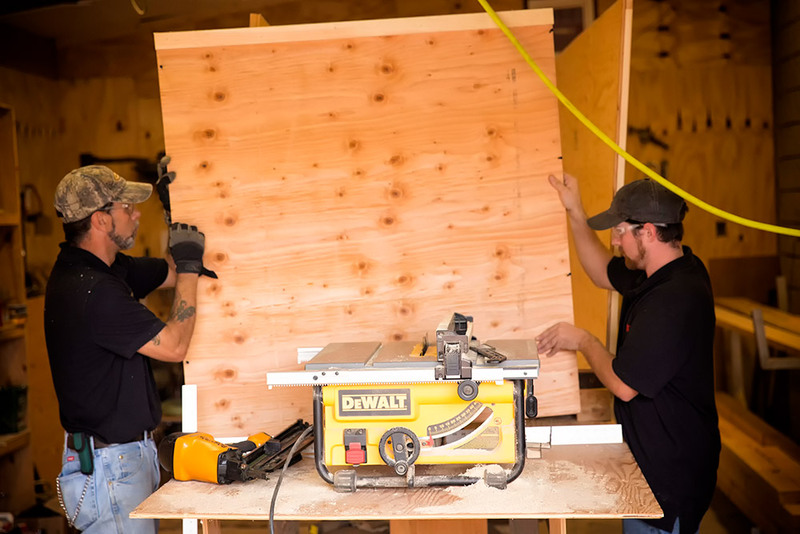 Our millworks department manufactures custom wooden shipping crates for products requiring an extra level of protection. We strive to ensure all our customers’ packaging requirements are met with strict attention to detail. No Foreign Object Debris (FOD) enters any of our packaging. Oxidation sensitive material is wrapped to prescribed MIL-SPEC requirements. In addition, we can provide customize transportation services, ranging from specialized containers and shipping rigs to in-process product movement. For more information on Randolph and Baldwin’s Logistics services, please contact us. Contact us and receive a quote on your project.